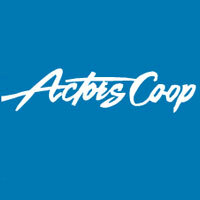 Actors Co-op is thrilled to announce its fifth and final show in its 2014-2015 season (and 23rd year of producing theatrical excellence in Los Angeles!) with AROUND THE WORLD IN 80 DAYS, by Mark Brown (based on the novel by Jules Verne), produced by Thomas Chavira and directed by Rhonda Kohl. AROUND THE WORLD IN 80 DAYS will preview on Wednesday, May 6 and Thursday, May 7 at 8pm and will open on Friday, May 8 at 8pm and run through Sunday, June 14 at the Actors Co-op David Schall Theatre, 1760 N. Gower St. (on the campus of the First Presbyterian Church of Hollywood) in Hollywood. Stampeding elephants! Raging typhoons! Runaway trains! Unabashedly slapstick! Hold onto your seats for the original amazing race! Join fearless adventurer Phileas Fogg and his faithful manservant as they set out to win an outrageous wager by circling the globe in an unheard-of 80 days. Danger, romance, and comic surprises abound in this whirlwind of a show as five actors portraying 39 characters traverse seven continents in Mark Brown's adaptation of one of the great adventures of all time! AROUND THE WORLD IN 80 DAYS has assembled an award-winning design team. Set Design is by David Goldstein. Lighting Design is by Matthew Taylor. Sound Design is by David B. Marling. Projection and Props Design is by Nicholas Acciani. Costume Design is by Wendell C. Carmichael. Hair Design is by Krys Fehervari. The Dialect Coach is Jill Massie. AROUND THE WORLD IN 80 DAYS is produced by Thomas Chavira. AROUND THE WORLD IN 80 DAYS will preview on Wednesday, May 6 and Thursday, May 7 at 8pm and will open on Friday, May 8 at 8pm and run through Sunday, June 14 at the Actors Co-op David Schall Theatre, 1760 N. Gower St. (on the campus of the First Presbyterian Church of Hollywood) in Hollywood. Performances are Friday and Saturday evenings at 8:00pm and Sundays at 2:30pm (with Saturday Matinees scheduled for Saturday, May 16 at 2:30pm; Saturday, June 6 at 1:30pm and Saturday, June 13 at 2:30pm). Ticket prices are $30.00 for all Performances. Seniors (60 and over) - $25 and Students - $20.00 (with Student Rush Tickets available on Friday evenings excluding Opening night on a first-come, first served basis, subject to availability). Previews are Free to the Public. Group rates are available for parties of 6 or more. Tickets may be purchased by phone at (323) 462-8460 or visit www.ActorsCo-op.org.